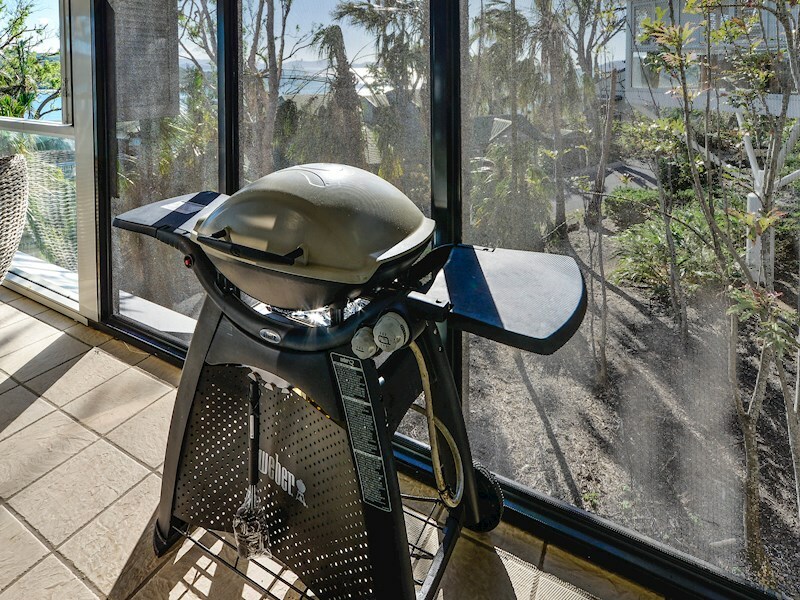 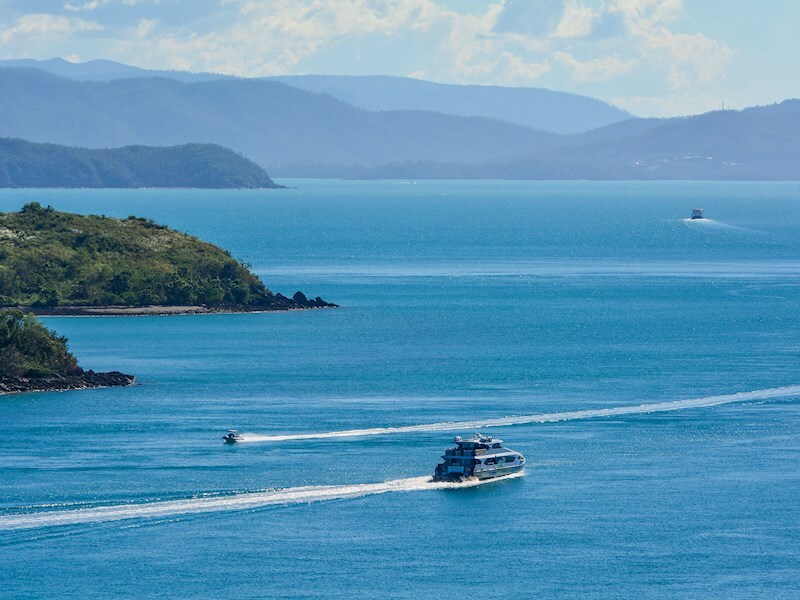 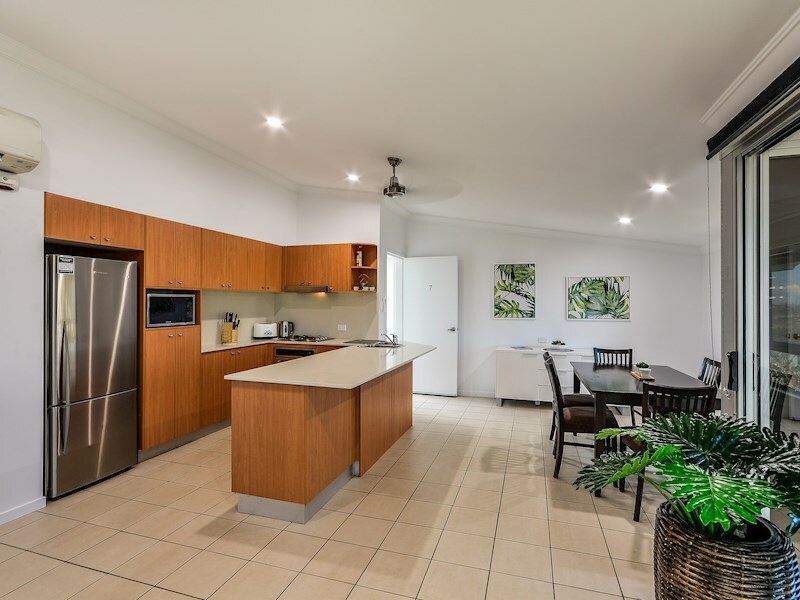 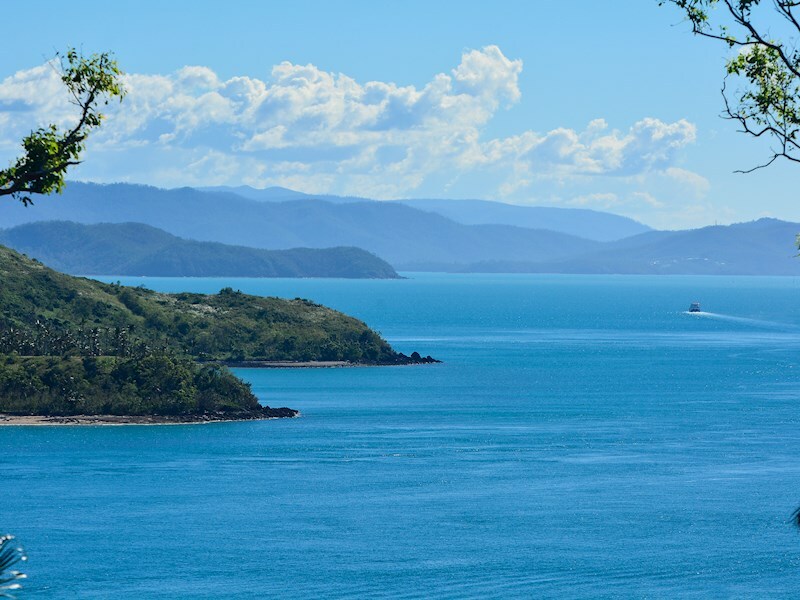 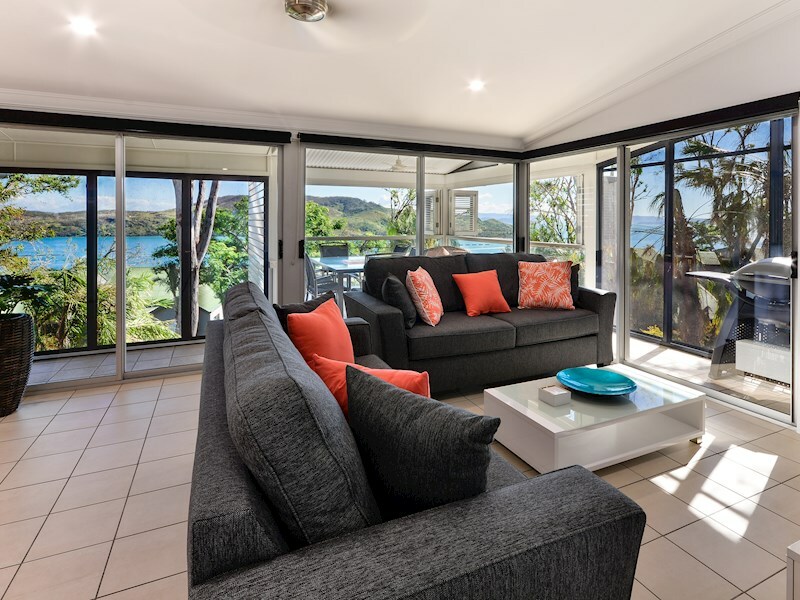 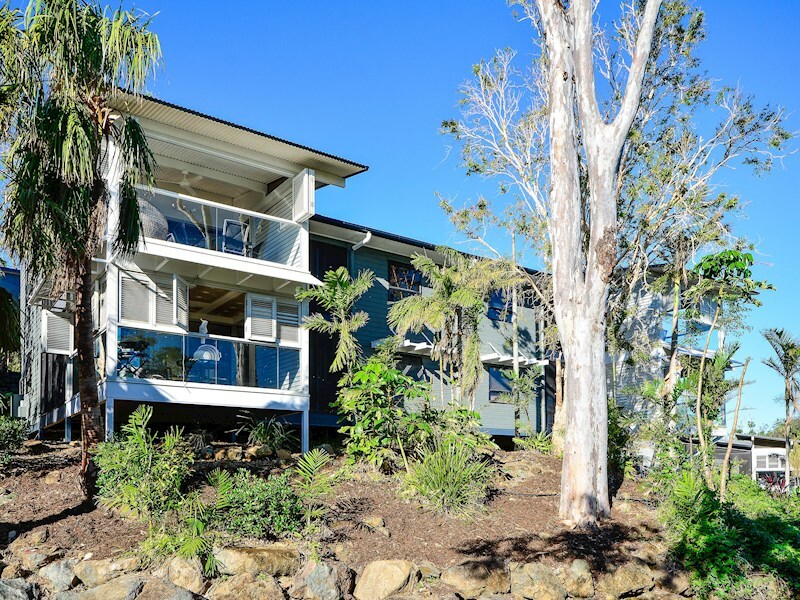 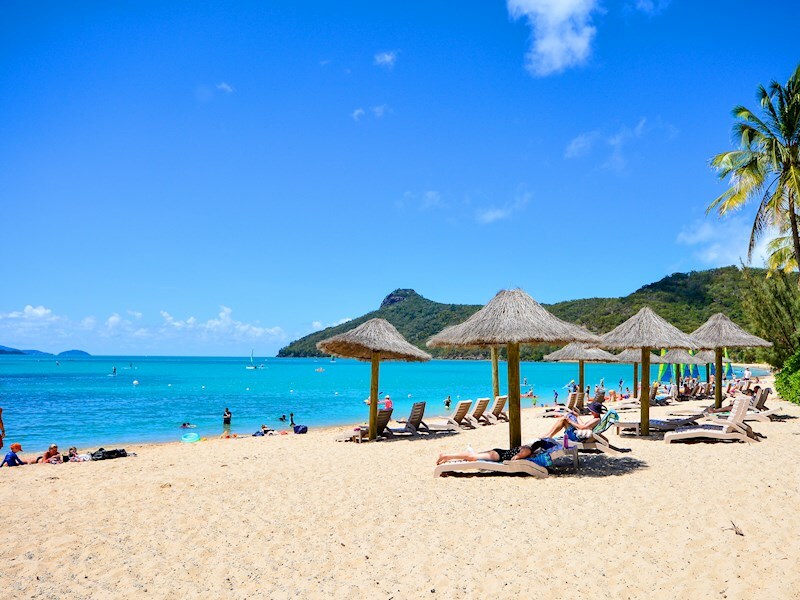 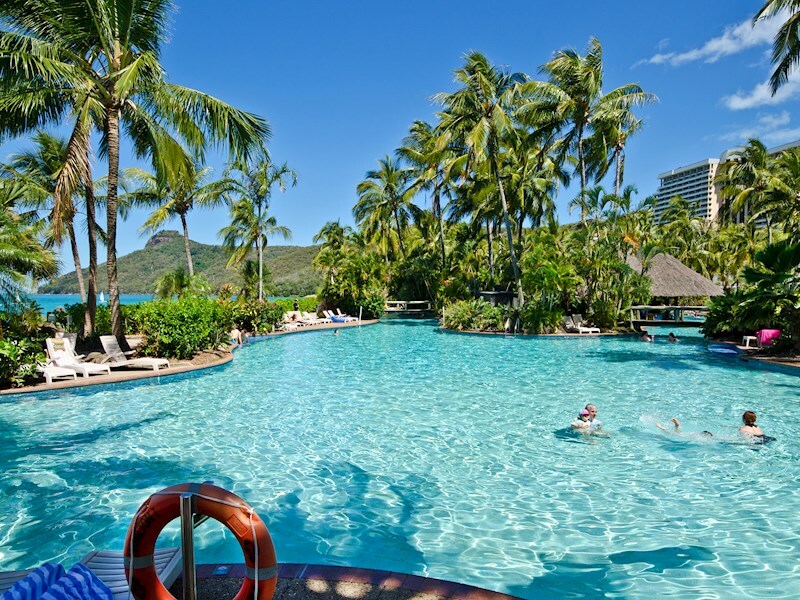 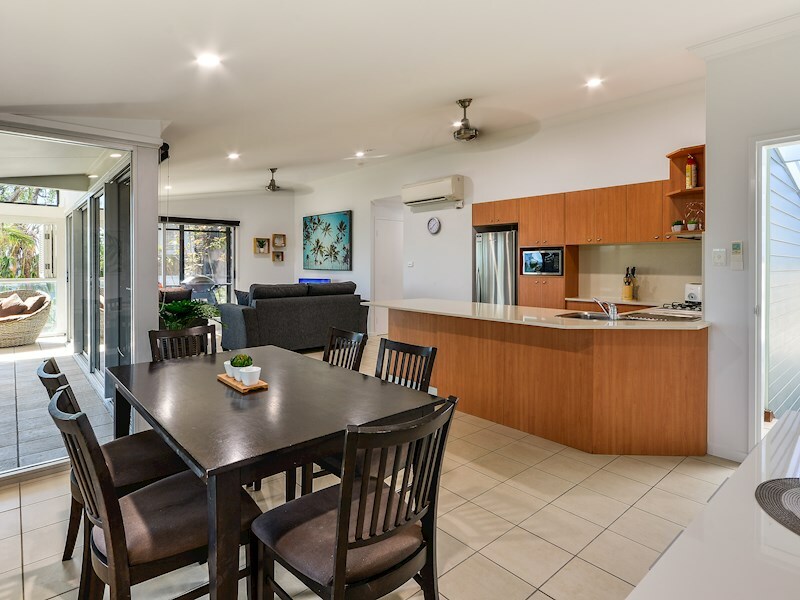 Bright, two bedroom Hamilton Island apartment. 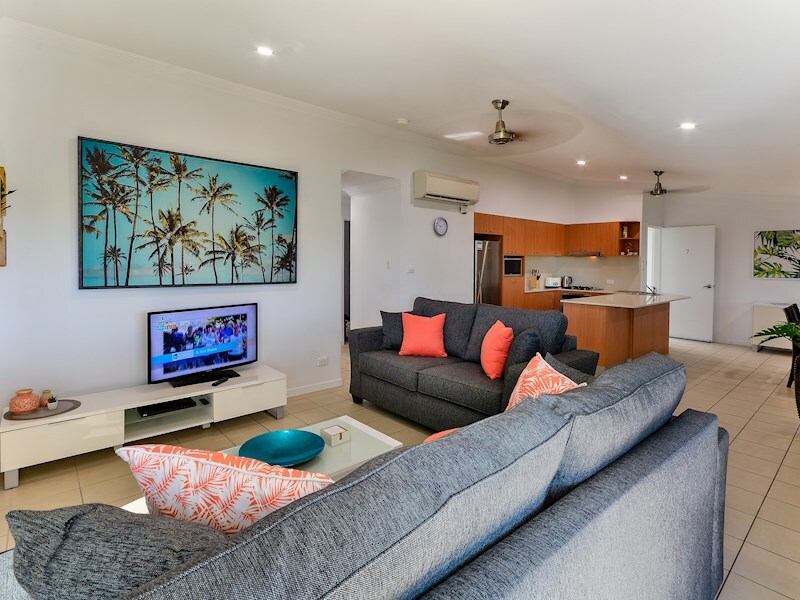 Flowing over one level, and with fresh, contemporary interiors, this open plan apartment is ideal for couples or families. 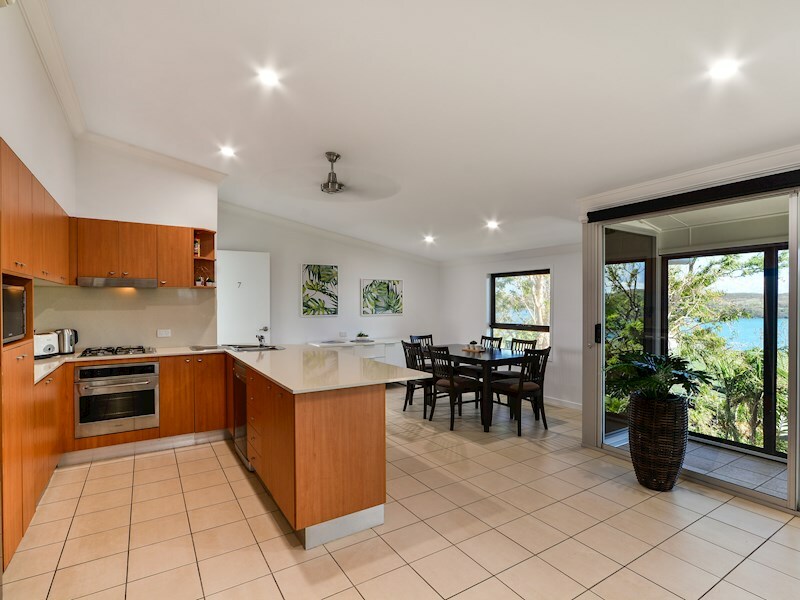 It includes two generous bedrooms, a large entertaining terrace and modern, fully-equipped kitchen. 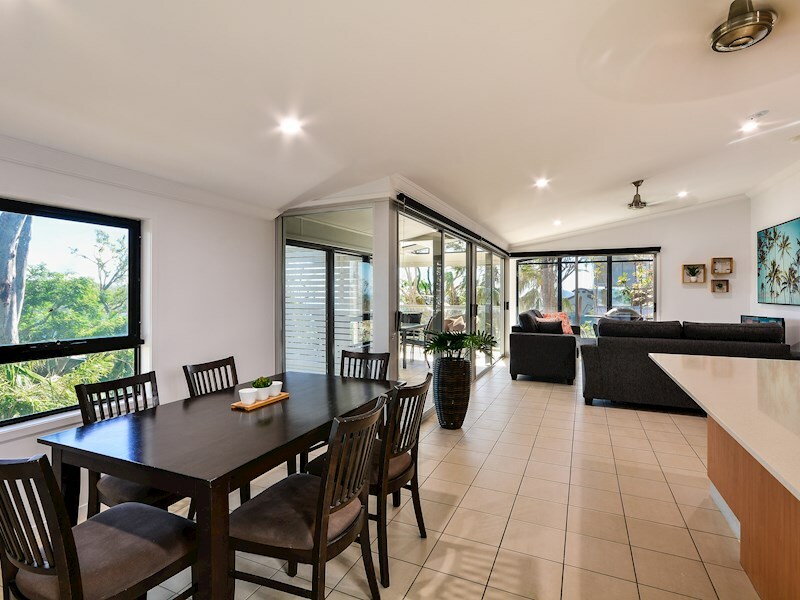 Relax on your enclosed outdoor terrace which flows seamlessly from the open plan kitchen area. 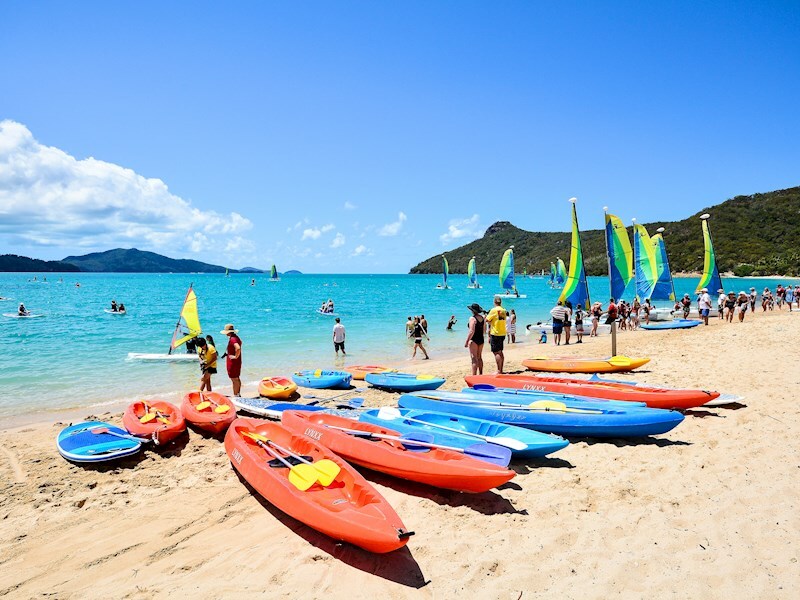 Conveniently located on the marina side of the island, you're just a short walk or buggy ride from all of the island's key attractions. 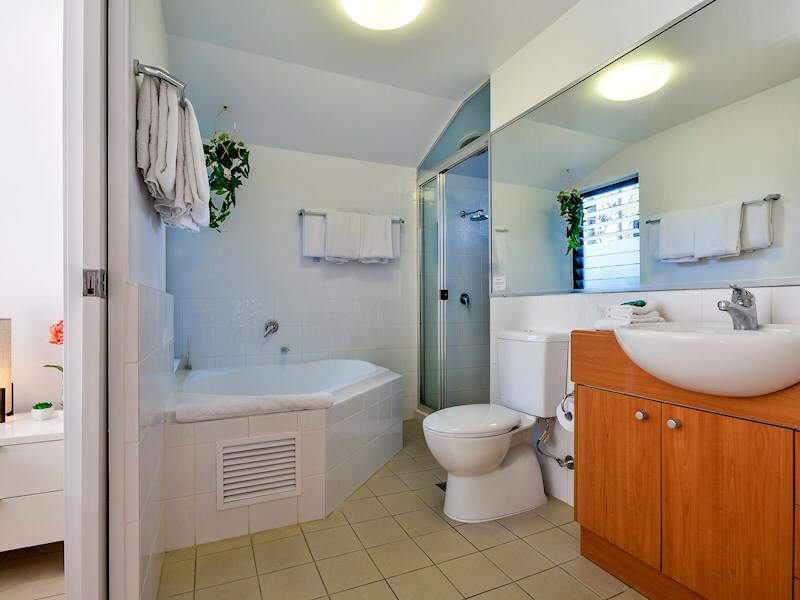 There are two generously sized bedrooms in this apartment, each with a king size bed, the main featuring an ensuite with corner spa bath. 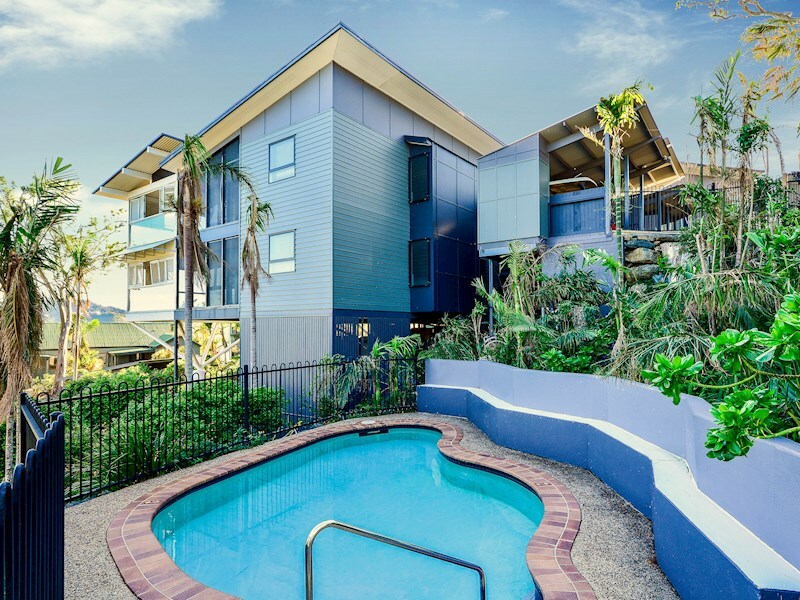 Set over a single level, this apartment is ideal for singles, couples, or a family with a baby or teenage children. 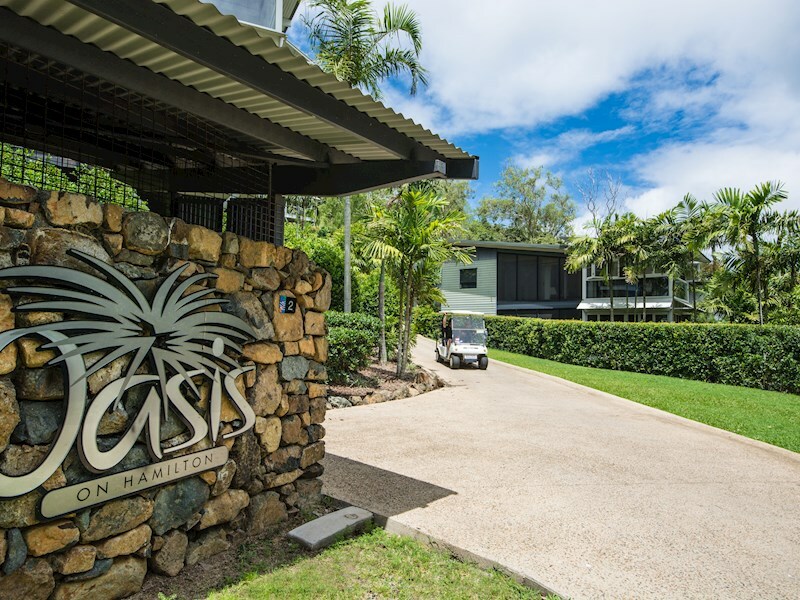 As a guest of the Oasis Apartments, you have acess to the complex's shared pool. 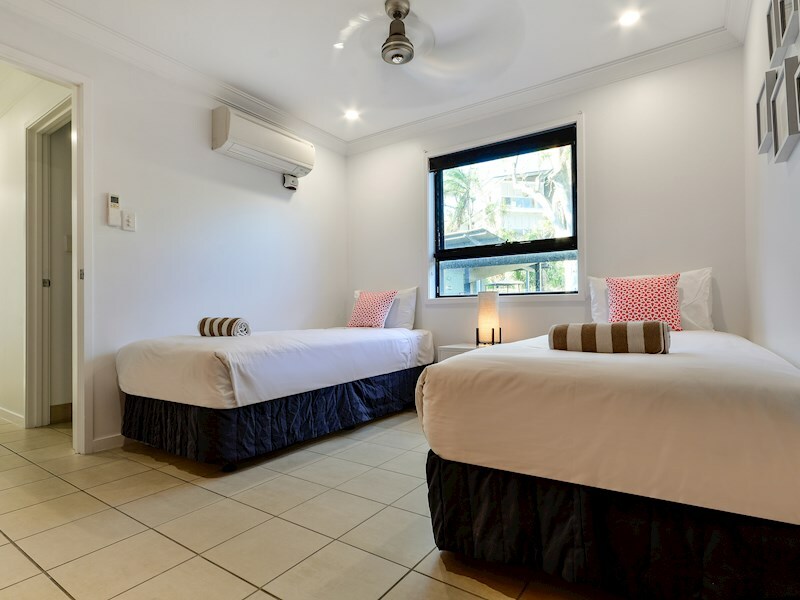 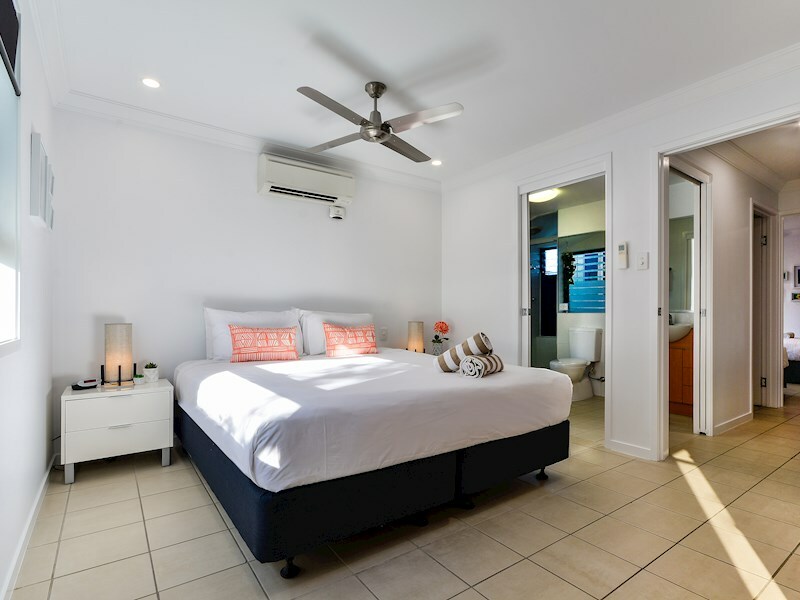 This apartment includes all the comforts and conveniences you need for a memorable holiday, including air-conditioning, ceiling fans, a BBQ, and bright, modern interiors.